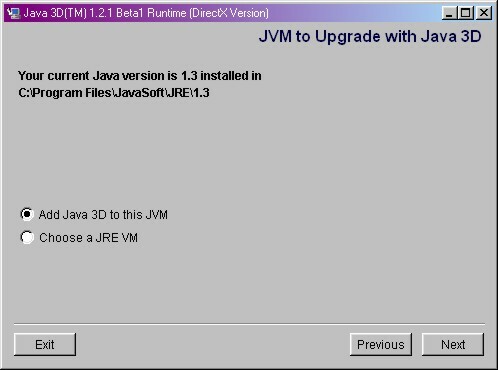 Download J3D 1.3.1 OpenGL - select Java 3D for Windows (OpenGL Version) Runtime for the JRE and install it - we recommend selecting all the default options during the installation process. 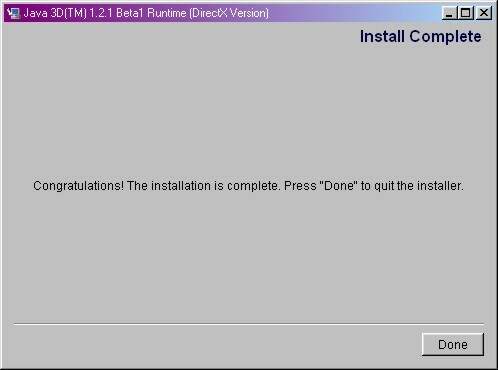 If you have already installed this software (or a newer version) previously, you may safely skip step 2. 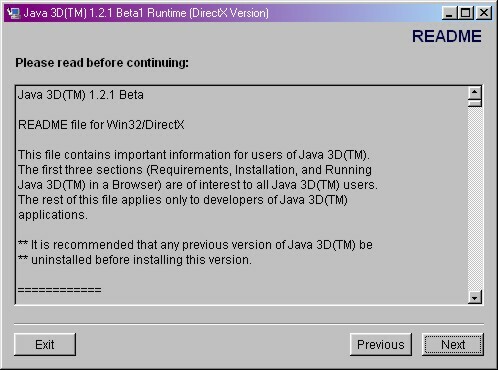 Java 3D enables the creation of three-dimensional graphics applications and applets, and gives developers high-level constructs for creating and manipulating 3D geometry. 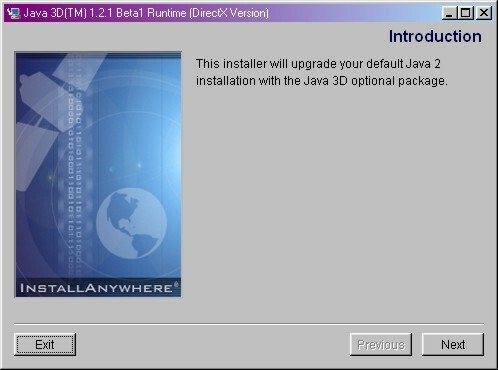 Additional information and future updates for Java 3D will be available here. You should be presented with the following screens. 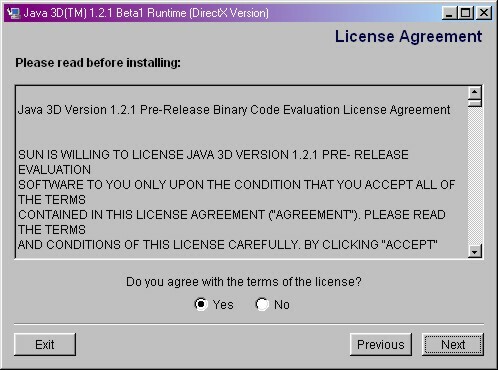 Please read the license agreement carefully and select all default options when installing the software.